Guiyang city government signed a framework agreement with United States-based University of California, Berkeley for cooperation in education. The agreement was signed on Friday, during the China International Big Data Industry Expo 2018 in the Guizhou province capital. The high-quality resources of UCB constitute what is needed to build up China's "digital valley" in Guiyang, Chen Yan, mayor of Guiyang said at the signing ceremony. UCB is an excellent university with a good reputation for research and innovation in big data, with many teachers and professors as well as fruitful academic achievements, Chen said. Cooperation between Guiyang and UCB dates back to 2016 when the two parties along with the Ministry of Industry and Information Technology established the Guizhou Berkeley Big Data Innovation Research Center in Guiyang High-tech Industrial Development Zone. Since the center has been in operation, it has developed big data curriculums, personnel training, scientific research and the commercialization of research outcomes. In the past two years, Guiyang and UCB have worked out a mature cooperation model and performed efficient communication, and the cooperation is in line with the global trend, said Xu Hao, executive vice-mayor of Guiyang. "Higher education plays a key role in scientific innovation," said Tsu-Jae King Liu, vice-president of UCB, adding that education cooperation on a global stage is very helpful for students to improve their intercultural communication and their standard of innovation and research. Guizhou Berkeley Big Data Innovation Research Center is a successful example to showcase the global cooperation in scientific research made in UCB and the center looks forward to seeing that such a project can bolster the big data industry in Guiyang and Guizhou, the vice-president said. At the signing ceremony between Guiyang and UCB, Guiyang also announced that it will join hands with the city of Berkeley, in a bid to foster more cooperation in the booming big data industry at the city level. On the same day, an agreement to establish a collaborative lab by Guiyang High-tech Industrial Development Zone and Imperial College London was also signed, with a string of promotion activities provided for companies from the United Kingdom at the scene. Meng Qiliang, deputy secretary of the Party committee of Guizhou province, said that big data is a free resource in industrial society. The one who can master the data, either he or she, can take the initiative. The UK government takes a leading position in the openness of data and it enjoys a strong support from the country's professionals. The signing ceremony is an opportunity to strengthen cooperation between the two sides and provide an impetus for mutual development, Meng said. 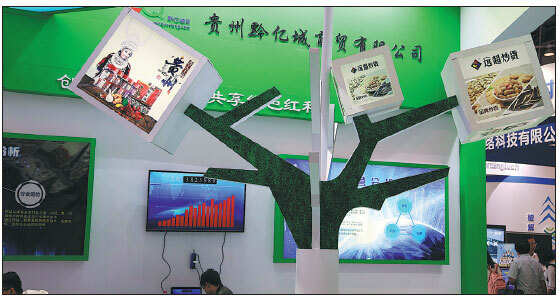 Since the 19th National Congress of the Communist Party of China in October, Guizhou has been promoting the development of its big data industry. The local government has been introducing well-known big data enterprises from home and abroad. At present, seven of the world's top 10 internet companies have visited Guizhou and 25 Fortune 500 companies have launched their business in the city. The province will continue to cooperate with big data research institutes all over the world and introduce worldwide talent by establishing more R&D centers. 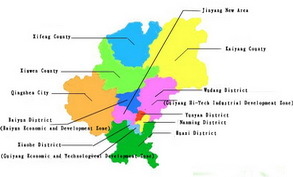 Guizhou has also set the goal to attract more investment from companies engaged in the major fields of electronic engineering and information technology, biology and new medicine, new materials, high-end equipment manufacturing, new energy, resources and environment as well as high-end services. 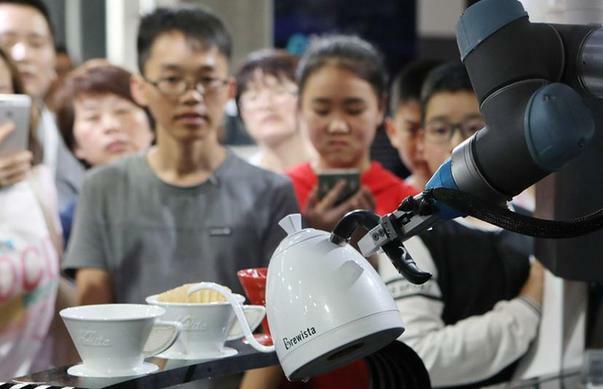 Guizhou aims to attract more investments from companies in the fields of electronic engineering and information technology, biology and new medicine.